The GRC generates a range of annotations on the reference genomes it curates. These tracks describe the assembly of the genome, as well as quality issues with the genome, and provides information relevant to their resolution or planned improvement. Much of this annotation is already available via the gEVAL browser. 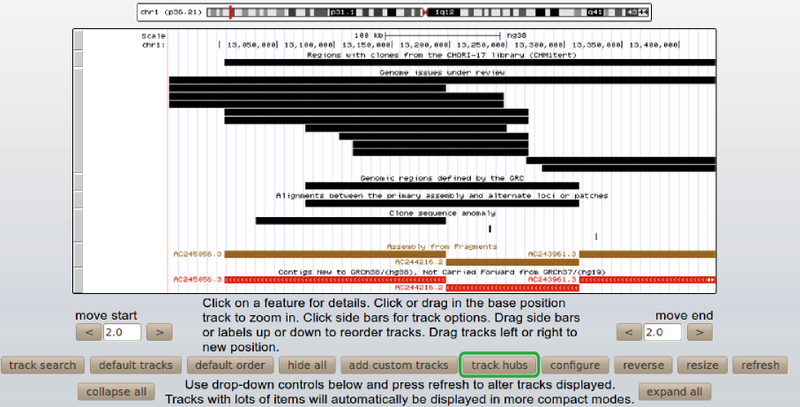 However, the track hub allows you to view this annotation in the genome browser of your choice. These tracks are updated on a weekly basis. We will be adding to this range of information as time goes on. What is a track hub? 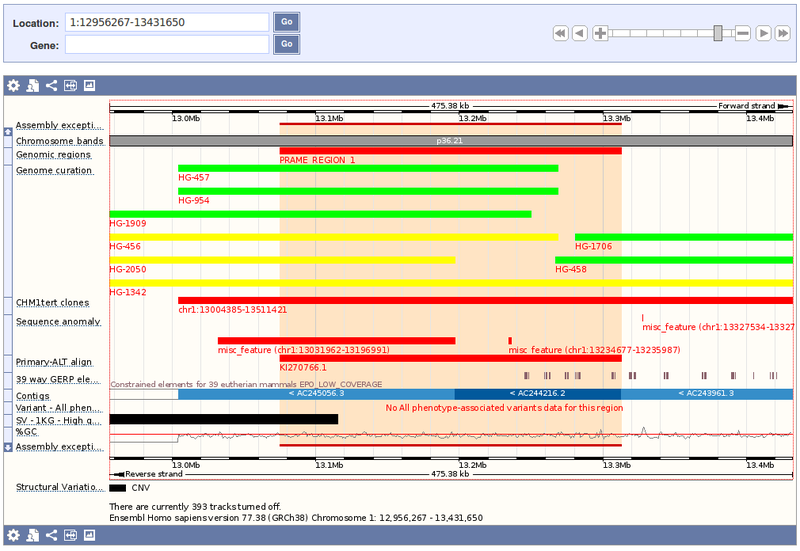 A track hub is a means of attaching multiple annotation tracks to a genome browser via a single URL. Full documentation on track hubs is available here. How do I attach the track hub in my favourite genome browser? In Ensembl: Go to "Add/Manage your data", select "Add your data" (if necessary), then select the data format "TrackHub", and add the hub URL. In UCSC: select the "Track Hubs" button just beneath the main browser area, then select the "My Hubs" tab, and add the hub URL. The first patch release for the GRCh38 reference assembly is now available. The GRCh38.p1 release includes 16 scaffolds: 13 FIX patches and 3 NOVEL patches. The FIX patch scaffolds correct existing assembly sequences, while the NOVEL patch scaffolds provide new alternate sequence representations. You can download the GRCh38.p1 assembly, including the alignments of the patches to GRCh38, from the GenBank FTP site: ftp://ftp.ncbi.nlm.nih.gov/genomes/all/GCA_000001405.16_GRCh38.p1/. Stay tuned for upcoming blog posts on individual patches!